What can Eye Revive Moisture Mist do for me? Modern lifestyles - computer screens, air-conditioning and central heating - can make our eyes drier, leaving them feeling tired and sore. 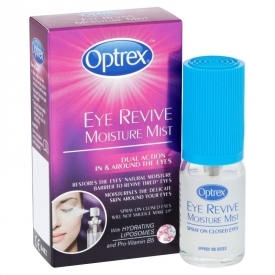 Optrex Eye Revive Moisture Mist has been designed to care for tired eyes so they can feel good again. The convenient mist-on format can be sprayed over closed eyes any time of the day, even over make-up. When using for the first time, press on the nozzle a few times to load the pump. Spray onto closed eyelids 3 to 4 times per day, whenever your eyes feel tired and dry. Hydrates eyes after a few seconds. Effects of spray does not last long. Does not have a nice smell. 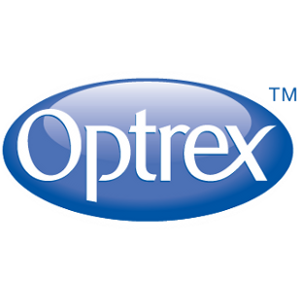 I got the optrex eye revive moisture mist free from bzz agent. the spray itself it ok. It is supposed to be used on closed eye lids, it contains hydrating liposomes which restores eyes natural moisture barrier and Pro-Vitamin B5. The sprays pump has large holes, when sprayed will cover eyes and eye brows.the moisturizing effects are minor. The product itself is quite expensive. - Easy to use. Much more convenient than eye drops. - A good alternative for those who are a bit squeamish about using eye drops. - Soothing and refreshing. Leaves you feeling wide-awake. - Leaves the eye area feeling soft. - Very hygienic. As it's a spray you don't have to touch the eyes or eye area to use it. - Perfect for hay fever sufferers with sore, irritated eyes. - Can be used with contact lenses. - Doesn't smudge eye makeup as long as you wait for the mist to dry. - The mist dries very quickly. - A handy size to pop in your handbag. - Expensive. RRP £15.99 per 10ml. - The soothing and refreshing effect doesn't last that long. An excellent product that refreshes and soothes the eyes. Expensive, but much more convenient than using eye drops. I have terrible tired eyes at the moment and sometimes they get a little dry. Even with eye creams, my eyes still look tired. The bottle is made of glass and is quite small, easy to hold and the spray function is a little wide. Instead of getting eyes, it gets cheeks and nose. Even at desired length it still goes everywhere. With one spray on each eye, eyes instantly feel moisturised and less tired. Eyes look brighter and not as dry, however not as effective as drops. The scent is a little off putting, smells a bit like rubber and plastic. Absorbs really well but leaves eye area feeling a little tight. Quite good but not worth the price in my opinion. Would still recommend.